When you are dealing with a customer for the first time, you might be interested in some details you can trust. 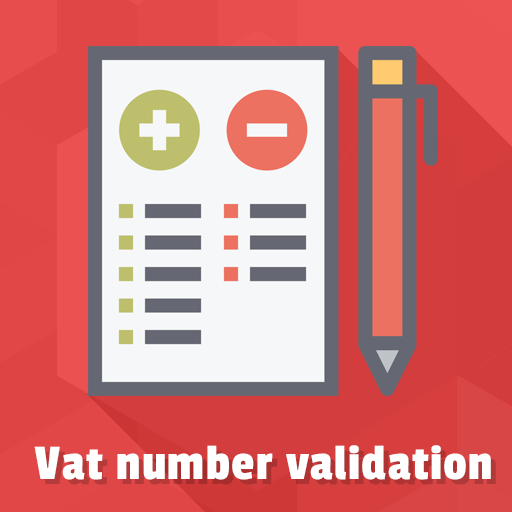 One of the ways to check the visitor's validity is to allow verifying a TAX VAT number. When you are doing business with consumers from the European Union, you have to include VAT number validation to your website surely. Taking into account that this service makes tax exempt for your EU customers in the future, it would be one more bonus for the customers in your store. Therefore we developed a tax vat extension for you. 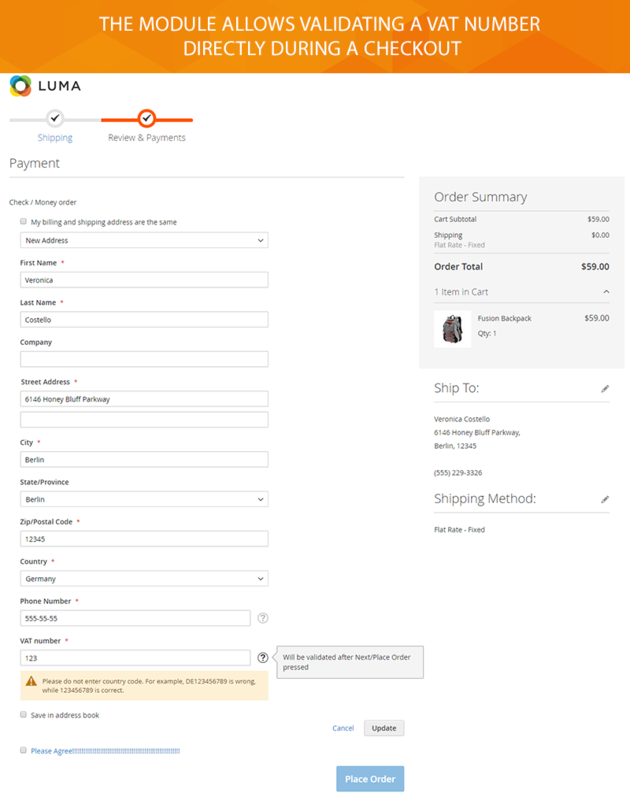 Magento 2 Checkout VAT module allows setting the VAT checker on a website checkout page. This will let user check whether his VAT number is valid. improve EU visitors loyalty to your website. Checkout VAT extension works perfectly with default Magento 2 checkout. It is also a part of the Magento 2 FireCheckout extension. 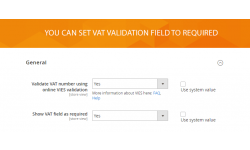 The module enables Tax Vat verification on a store frontend using VIES service. It is a proven way to check undertake transactions with VAT registered customers. 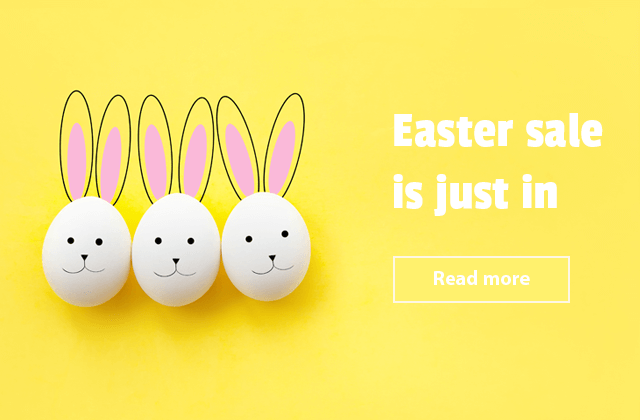 Any user can check whether the EU VAT information valid or not during filling checkout shipping and billing address forms. 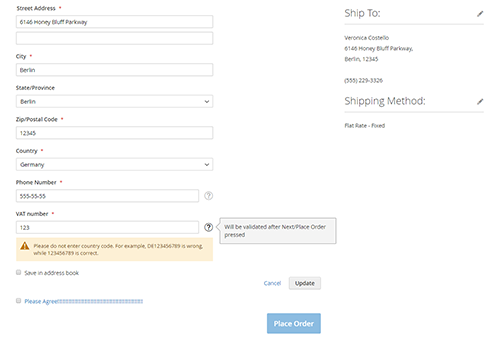 VAT number field is validated when pressing Next and Place Order buttons. The whole process is supported by Ajax functionality that prevents the page reloading. 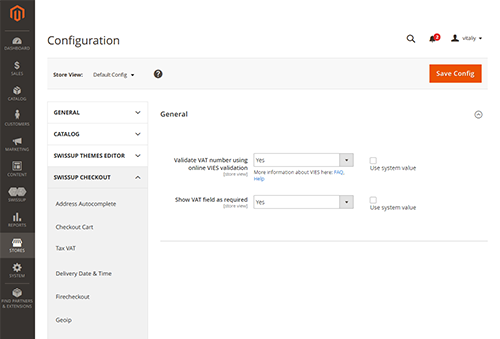 If you don’t require any user to have a VAT number, you can set the Tax Vat validation field as optional in the Checkout VAT module configuration. 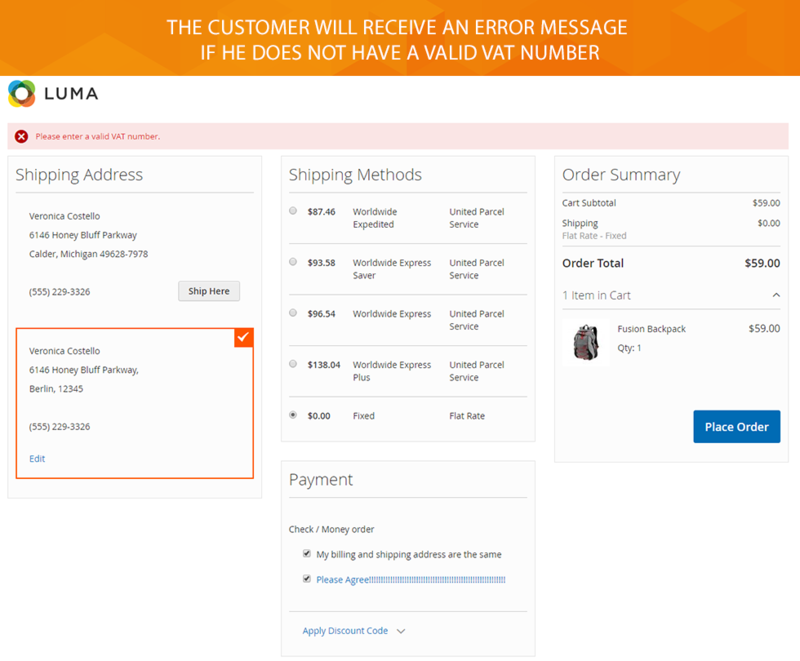 In case you set as required, please notice that VIES service can be offline sometimes, so the customer could place an order with invalid VAT number. 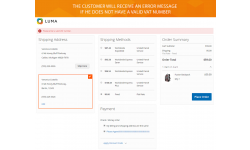 If the field is invalid, the customer will see the error message.